Here is the list of Indian medal winners in Asian Games 2018. Vinesh Phogat won the gold medal and the country's fifth medal at the ongoing 2018 Asian Games on Monday. Vinesh Phogat beat Japan's Yuki Irie in Women's Freestyle 50 kg gold medal match. She is also the first female gold medal winner at the Asiad. Vinesh completely dominated the contest, taking a 4-0 lead initially before stretching it further to 6-2 to pocket the yellow metal. Vinesh Phogat hardly broke into a sweat in her earlier semi-final encounter against Daulatbike Yakshimuratova of Uzbekistan, as the referees took just 75 seconds to declare the Indian the winner by technical superiority (10-0). 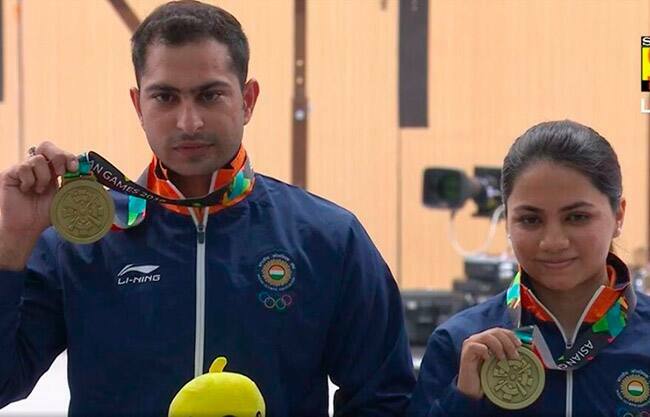 India won their second silver adding the medal tally to four on day 2 of Asian games 2018 after Lakshay Sheoran bagged the second position in men’s trap shooting event. 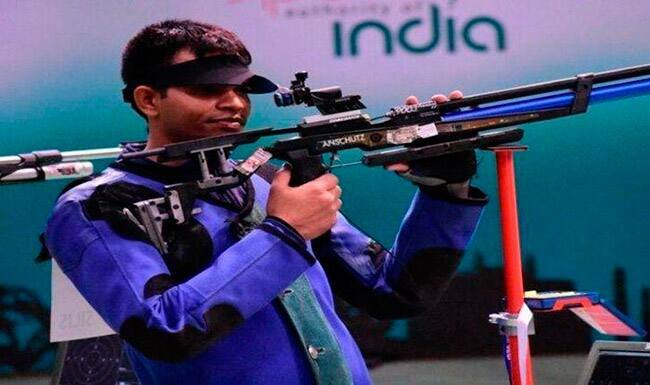 It was the second silver of the day after Deepak Kumar bagged the 10 meters air rifle silver. 19-year old Lakshay displayed composure and immaculate technique missing just once after the first ten targets. Meanwhile, his compatriot, a veteran of 6 Asian Games hit eight targets after the first ten. After 25 shots, Manavjeet Singh Sandhu and Lakshay were tied in second. However, after 30 shots, it was Lakshay who held the second position and M.S Sandhu was in fifth. However, Manavjit Singh Sandhu was eliminated at fourth spot while Lakshay won the silver. 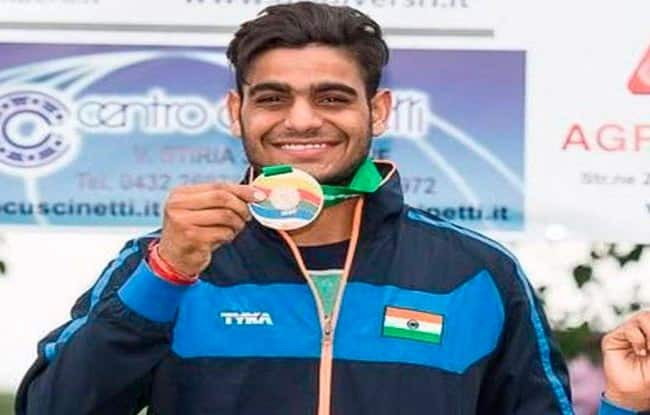 India’s Deepak Kumar produced a late surge to steal a silver in the men’s 10m rifle event at the Asian Games, giving the shooting contingent its second medal in Shooting. China’s defending champion Yang Haoran was a cut above the rest, winning the gold with an aggregate of 249.1. Deepak, who was not in the race for a medal until the 18th shot when he produced a perfect 10.9, earned his maiden Asian Games medal with 247.7, pushing Taipei’s Lu Shaochuan to third with 226.8 in the 24-shot final. 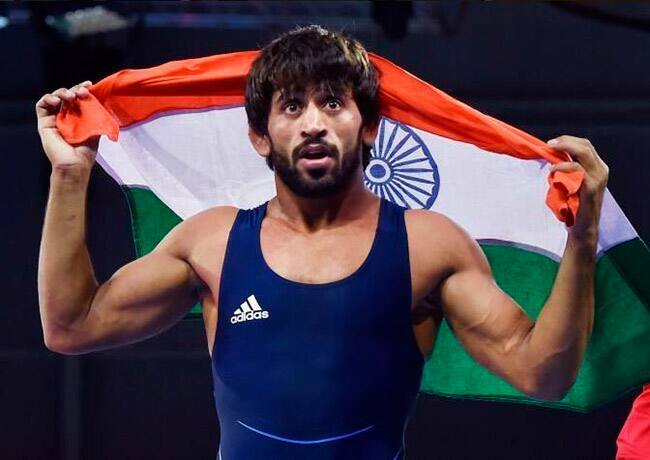 Bajrang Punia registers history after winning India’s first gold medal in the Asian games 2018. he defeated Japan’s Daichi Takatani in a close encounter which ended at a final scoreline of 11-8 in the favour of the Indian. He again showed his superiority taking a 6-0 lead before the Japanese made it 6-4 at half-time. Both the players displayed world class wrestling. Soon after the break, the Japanese brought things to equal terms. It was 6-6 before Punia again came back in the lead 8-6. The Indian finally bagged gold with an 11-8 win. The 24-year-old Punia is also hailed as the able successor of former Olympic medallist Yogeshwar Dutt. The Haryana-born has learned tricks and traits of the sport under the guidance of Yogeshwar.